I have a billion pictures so I think I will break this up into two parts. We went out to chinese food last night with Alex and his family (brother, his wife, mom and dad), we ordered way too much food (more for me later :D) and I forgot to take pictures until dessert. 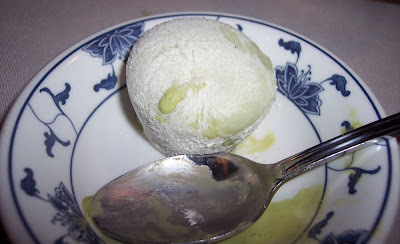 We all had deep fried ice cream, and also some mochi ice cream it was yummy! After we came home it was time for presents! My brother-in-law Eric and his wife Olivia got me these! Olivia makes really neat brooches and barrettes called kanzashi they are so pretty you can check them out at her store here. The bag already had me giddy. 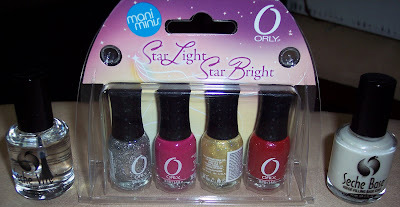 Orly mini's, soooo cute aaah! These OPI mini bottles are the cutest thing ever. In case you were wondering I chopped my nails off last night after coming home, they were just too long for me to function! Happy belated Birthday! 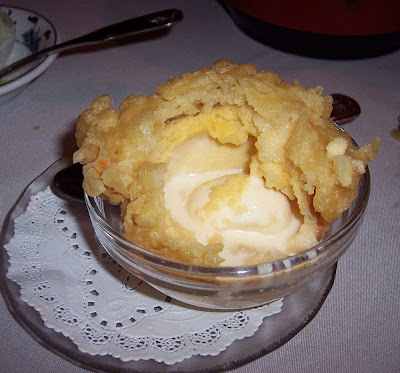 Sounds like you had a wonderful day :) I love deep fried ice cream, soooo yummy! 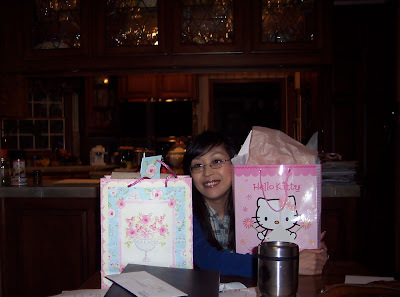 You got some very thoughtful presents! Oh, wow! Happy Birthday Kae. That fried ice cream looks too yummy! I used to go to Chi Chis before they went out of business just for that dessert. Mary: thank you, I had a great day and I am craving another ice cream! Nicole: thank you, I need to learn how to make the ice cream! Olivia: I forgot to give this to you last night but did you want that holo dupe I got? I can bring you on 4th. Happy birthday! I say it again, I'm sooo jealous of you! Helo Kitty and polishes.. WOW! You don't want it as a backup? That would be ♥ of you! That holo-ness is addictive, I think. 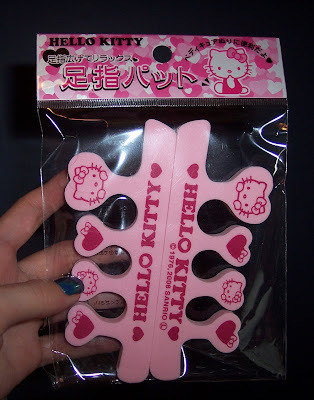 More polish and adorable Hello Kitty stuff. You really had a wonderful birthday. I haven't had fried ice cream in years. I only had it once and it was delicious. I'm so glad you had a wonderful birthday. You deserve it.